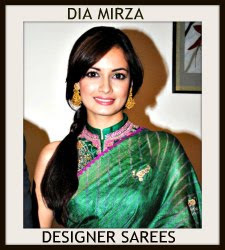 Dia Mirza at Amy Billimoria charity show in a floral designer lehenga paired with a sleeveless blouse. 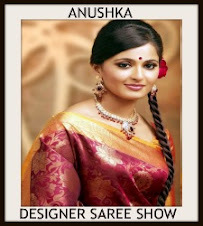 Sonam Kapoor at Life OK Diwali special in a lace Shehlaa lehenga. 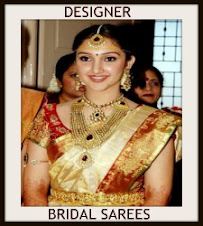 Nargis Fakhri attended Doli Diaries event in London wearing a green and black chevron striped lehenga paired with a black and gold off shoulder crop top, designed by Priyal Prakash. 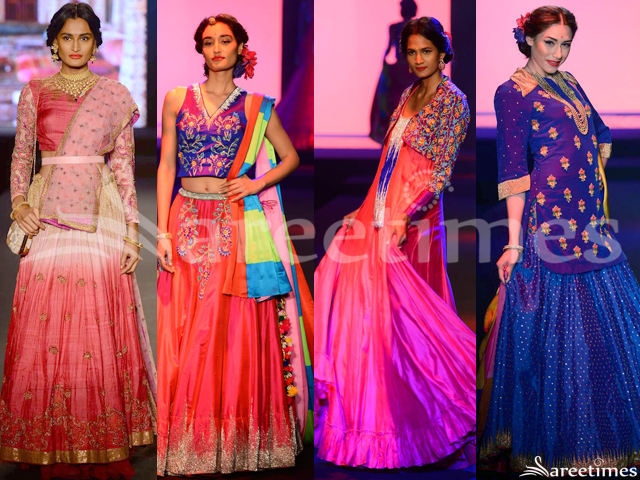 Designer Lehenga by Sony Reddy. 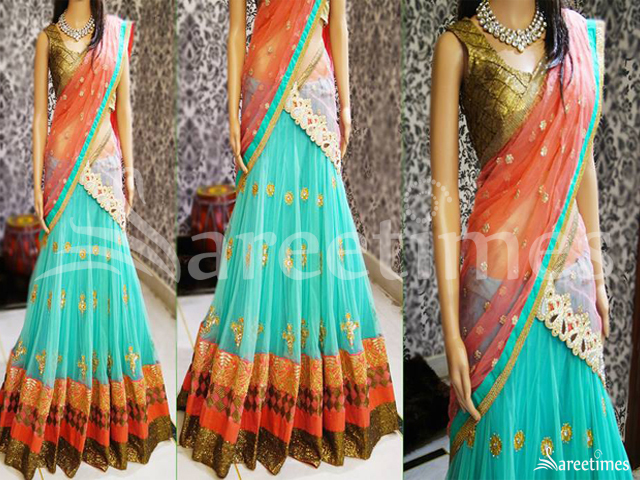 Orange pallu paired with pastel blue lehenga with golden borders and sleeveless blouse. 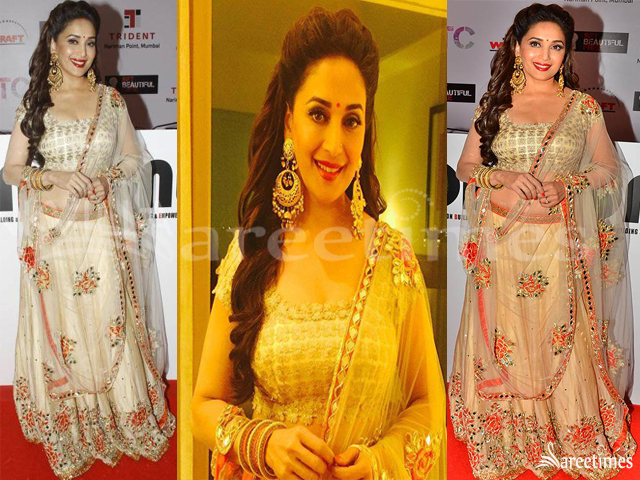 Madhuri Dixit at ‘Set Beautiful Free‘ event in a floral beige lehenga. 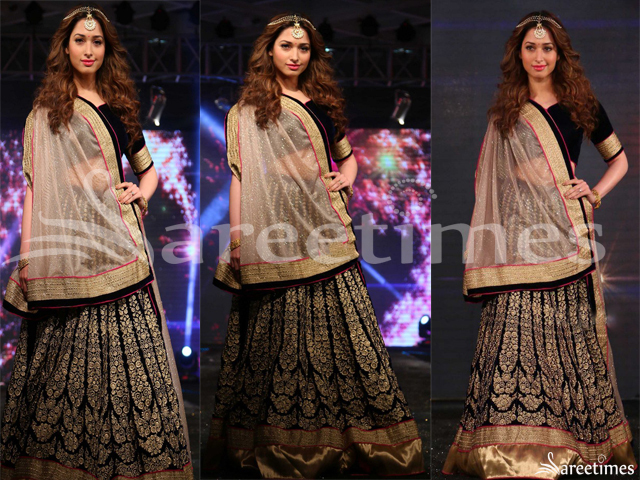 Tamannaah at Joh Rivaaj Fashion show in a black and cream combination bridal lehenga. 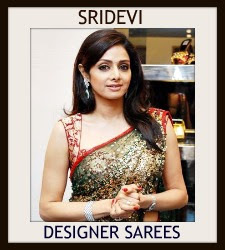 Shilpa Shetty at Lakme Fashion week 2015 in a designer lehenga by Divya Reddy.Sleeveless Blouse paired with golden borders. 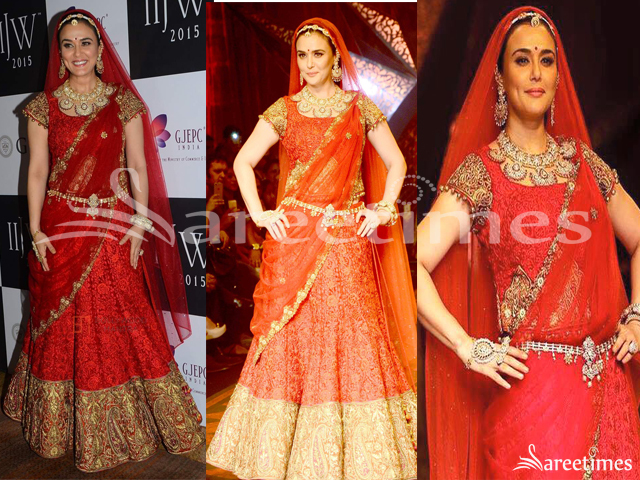 Priety Zinta at IIJW 2015 for Bhirdichand jewelers in a red and gold bridal lehenga. 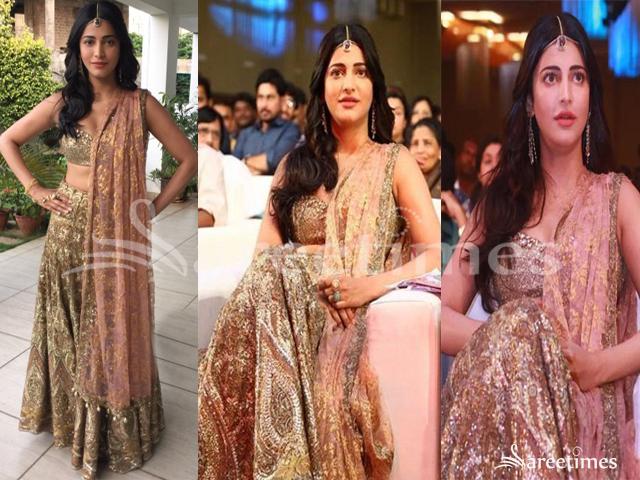 Shruti Haasan at the audio launch of upcoming Tamil film “Puli” in a gold heavily embellished lehenga set by Rimple & Harpreet. 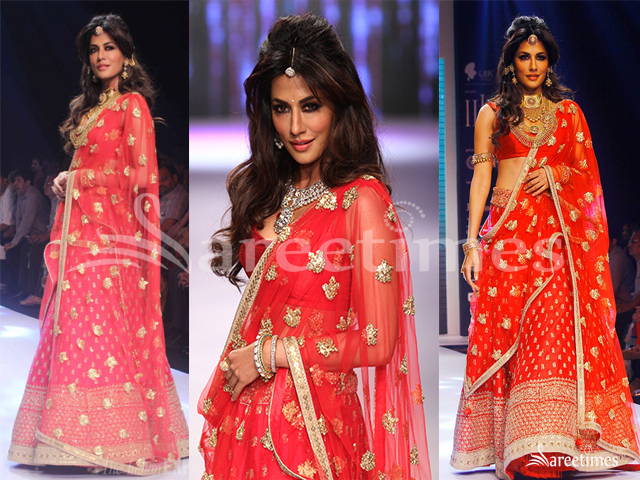 Chitrangada Singh at India International Jewellery Week in a beautiful red lehenga. 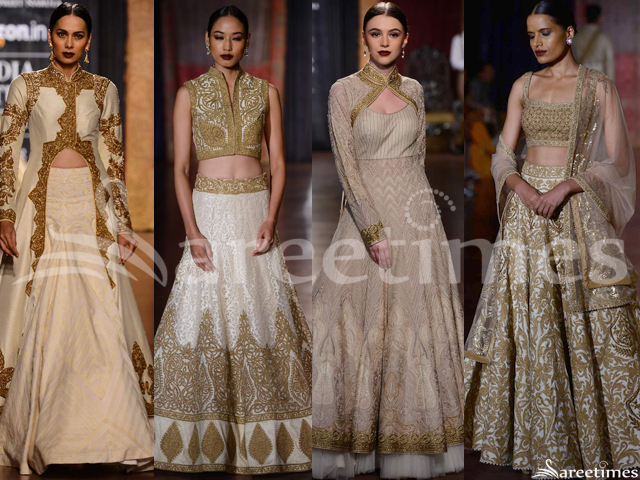 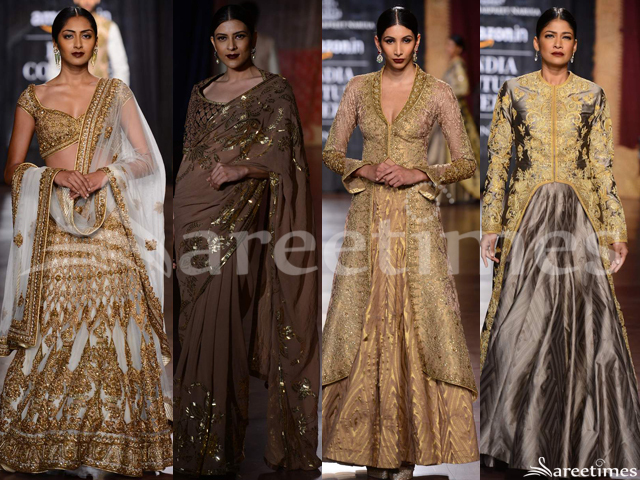 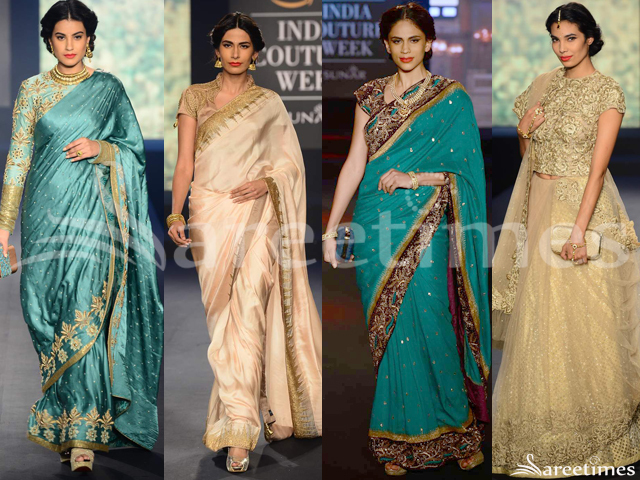 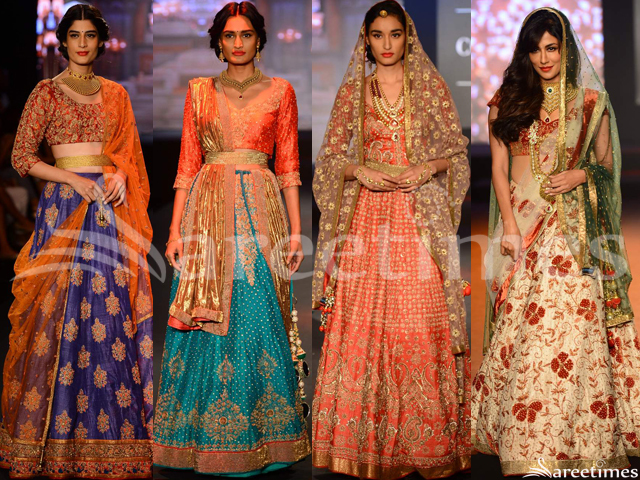 Debarun presented his collection in Amazon India Couture Week 2015, taking inspiration from the Indian Cinema. 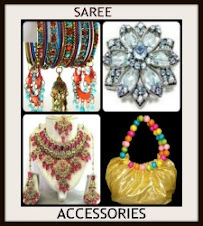 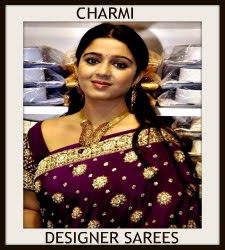 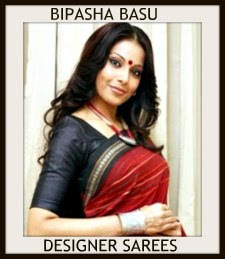 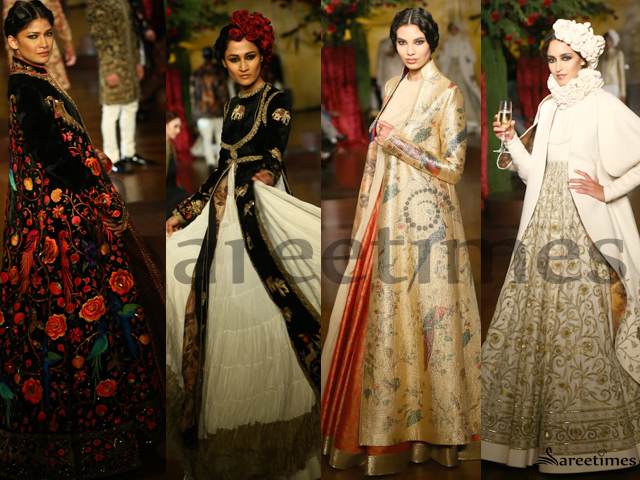 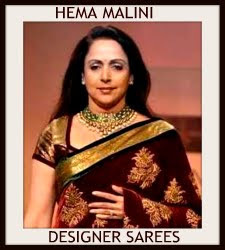 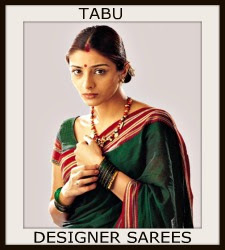 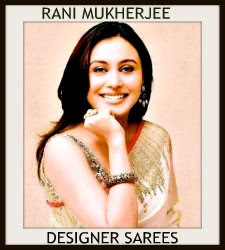 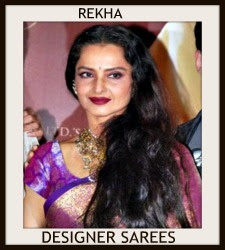 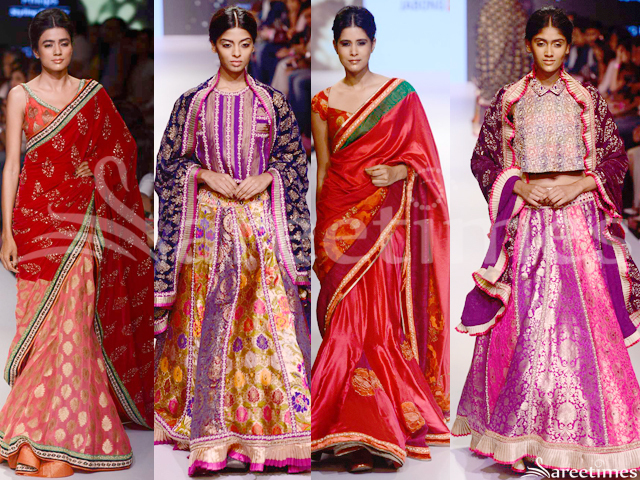 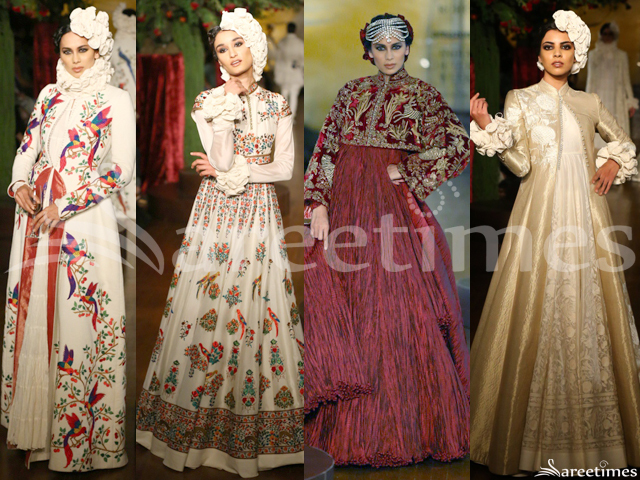 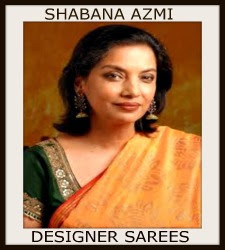 His collection consisted of lehengas and sarees. 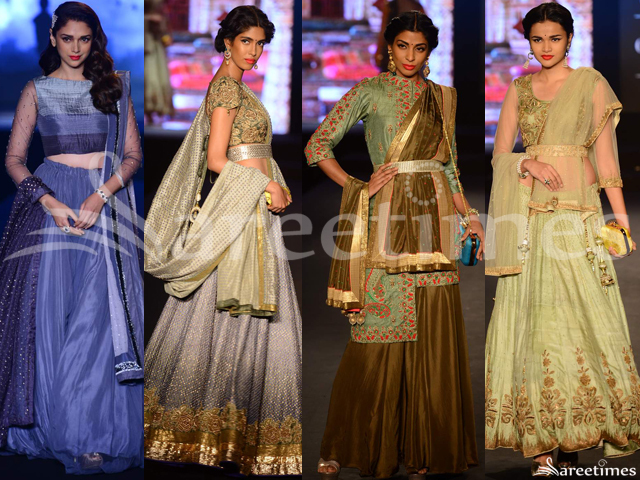 The show was started by Aditi Rao Hydari walking the ramp for Debarun. 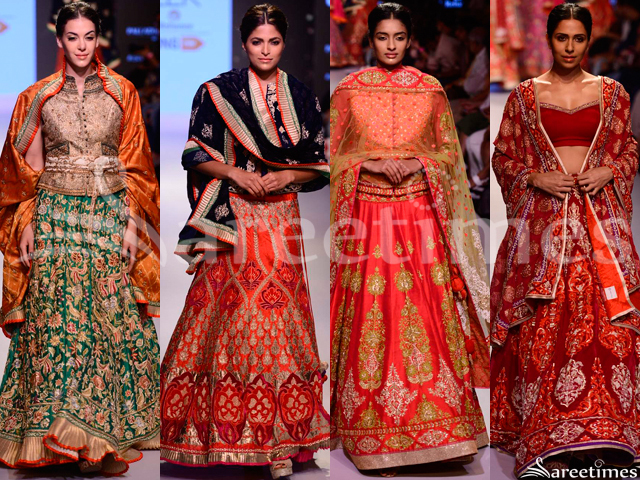 Chitrangada Singh was the show stopper. 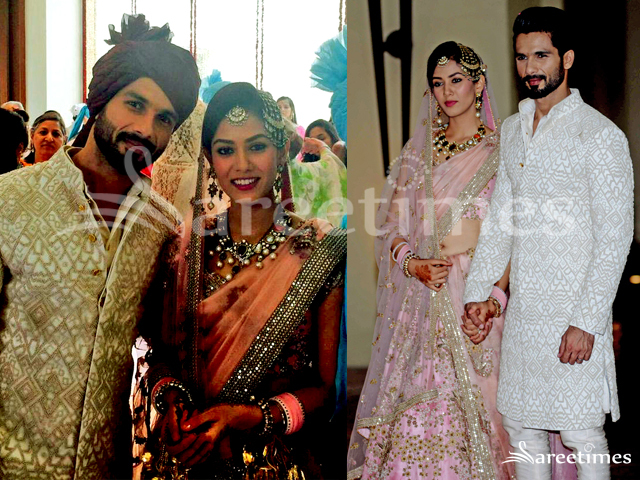 Mira Rajput at her wedding in a light pink Anamika Khanna lehenga.